Visited our new website yet? 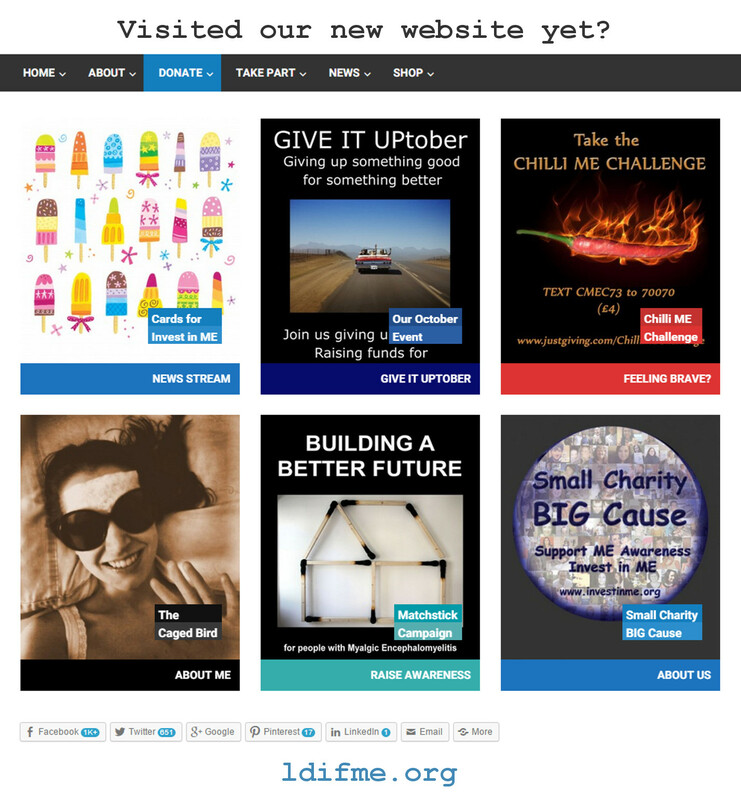 If not take a peak here ldifme.org. Our blog has also moved and you'll need to re-subscribe if you wish to continue receiving updates from us. 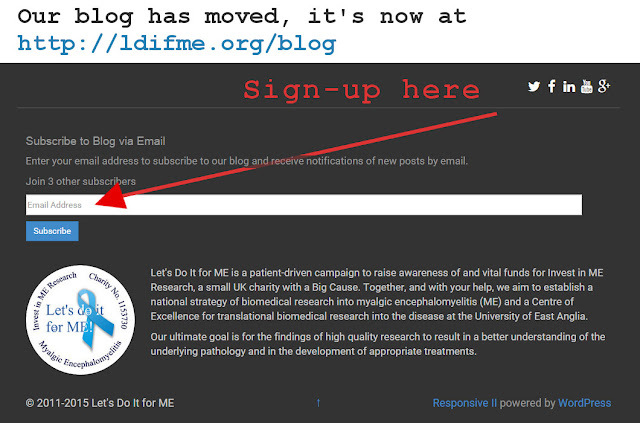 It is now located here ldifme.org/blog and you can subscribe at the bottom of the page or any of our blogpost pages (see the graphic below). Recent posts are also featured in our news stream. 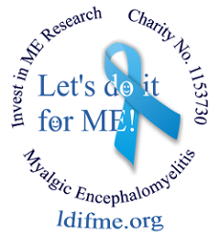 As we did on our previous blog we invite guest posts from supporters of the charity Invest in ME Research about their fundraising endeavours. Get in touch by email, our contact form or on Twitter or Facebook. Feeling out of the loop about what's been happening with our crowdfunding efforts and the research into ME? This short update featuring some good news should get you up to speed: Over £600k on Our Way to a Million!